Luxury home builder Monte Hewett Homes is excited to announce its decorated townhome model at Plateau West in Midtown is coming soon. 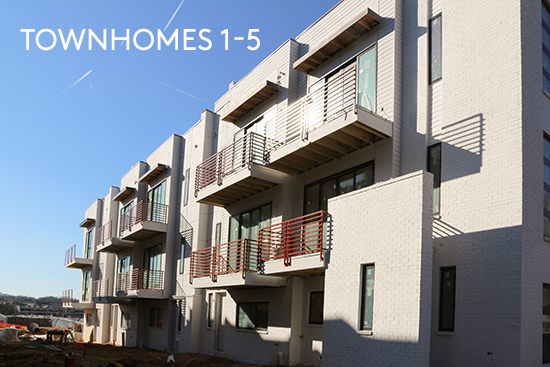 This new community is walkable to popular shopping, dining and entertainment available at Atlantic Station. Upon completion, Plateau West will feature just 18 luxury townhomes with four impressive floor plans for homebuyers to choose from. Homes will boast up to 2,643 square feet of thoughtfully designed living space with two-to-three bedrooms and three-and-a-half baths. 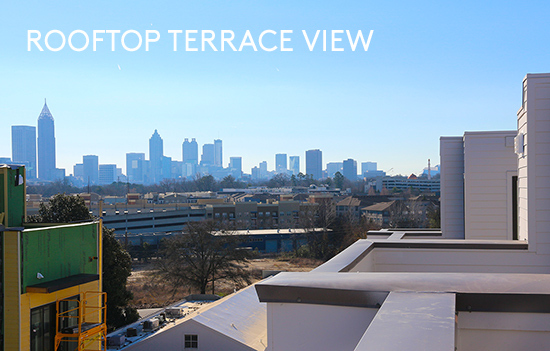 Notable appointments include rooftop terraces with arbors and stunning views of the Atlanta skyline and elevator options. 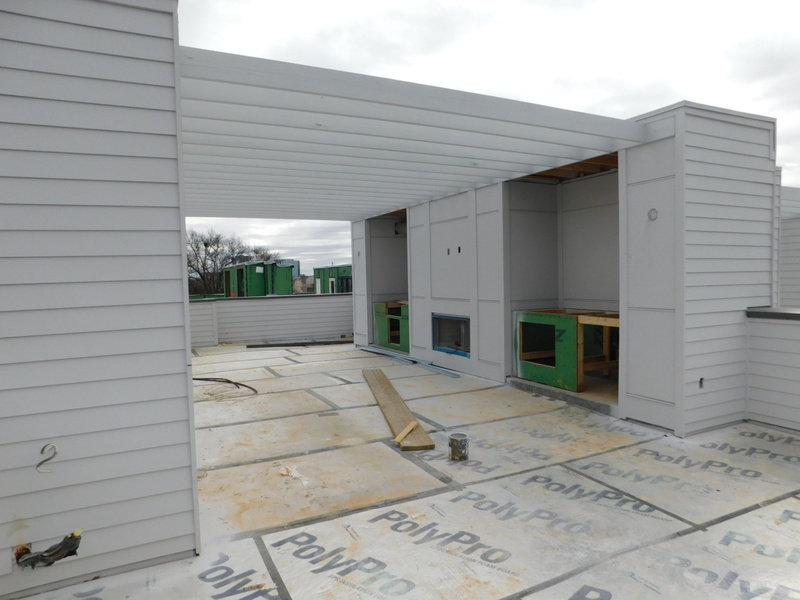 The Lochner model home, coming soon to Homesite 2 and opening in March, is a three-story townhome design with rooftop terrace and featured elevator option. The terrace level boasts a customizable flex space, perfect for a home office or media room, with a saddle leather sectional, concrete coffee table and art easel wall sconces to showcase artwork. The custom floating media cabinet with slab doors and brass hardware contrast the rich blue accent wall. The upper main level features 6-inch pre-finished gray-washed white oak hardwood floors throughout, a formal dining room with walnut Parsons table, unique brass and green velvet chairs and a 6-foot replica painting of the Mona Lisa and a stunning gourmet kitchen. A designer’s dream, the gourmet kitchen features polished Pietre gray marble countertop with unique inset-lit waterfall legs and a 6-centimeter mitered profile on custom acrylic cabinets. The perimeter cabinets are contrasted light gray acrylic with slab doors and solid quartz countertop with textured glass straight stacked subway tile backsplash illuminated by antique brass ceiling-mounted articulating sconces. The convenient dry bar features under-lit floating shelves and matching glass backsplash to the ceiling. The cozy family room boasts a floor-to-ceiling custom horizontal-planked black granite fireplace, modern bone-colored, velvet channel-tufted sofa, warm alligator leather chairs and white teak coffee table. The artwork throughout is contemporary abstracts and silhouettes with deep maroon and red jewel tones. The owner’s suite is the epitome of luxury and relaxation with its sea of taupe-gray neutrals accented with rich navy blue and modern abstract artwork. The spa-like bath features a contemporary under-lit floating vanity made of glossy acrylic and backlit mirrors with 6-centimeter white quartz countertops with wall-mounted chrome faucets and vessel sinks. The shower walls and vanity accent wall behind the backlit mirrors is classic porcelain Calacatta Marble tile contrasting the dark taupe- gray porcelain tile floor and shower floor. The upper level of this three-story townhome features a rooftop terrace with outdoor fireplace, built-in grill and under-counter refrigerator housed under an open-air trellis, perfect for entertaining family and friends. The expansive space boasts two sectional sofas, a covered lounger and dining table and chairs, all atop an oversized synthetic grass rug. Not only does Plateau West offer a walkable lifestyle, but additional options are only a short drive away including shopping and entertainment in Midtown, Howell Mill Square and South Buckhead and recreation along the planned Atlanta BeltLine Southside Extension and the Loring Heights Park and Duck Pond. Plateau West is located at 436 Trabert Avenue NW in Atlanta. 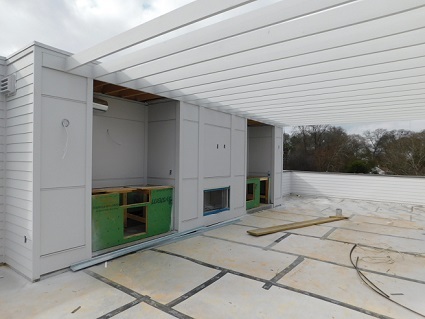 To learn more about the Lochner townhome model opening in March and availability at Plateau West, contact Sales Agents Paula Burr and Jim Peavy at 678-460-0709 or visit www.MonteHewettHomes.com.